Professional application of beautiful, longer, thicker and fuller lashes. 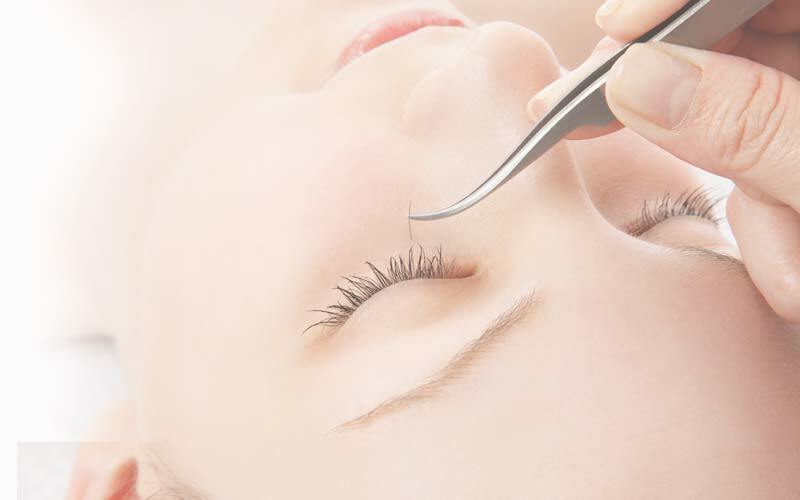 Eyelash extensions offer you the professional way to beautiful, longer, thicker and fuller lashes. Superior quality lashes make all the difference in the wearer's appearance. Eyelash extensions can be a beautiful way to enhance your natural eyelashes without mascara or strip false lashes. They look fabulous! More dramatic than mascara, yet far more natural than a strip of false eyelashes. Lash extensions are simply stunning when done right. They're instantly gratifying. Extensions deliver the gorgeous lashes you want in only one appointment and you won't need to apply mascara. They save time. Many people say not wearing mascara saves time in the morning routines. They last for weeks. Typically lash extensions stay looking good for 2-3 weeks; however, with regular fills, your overall lash extensions will last indefinitely. Thick and beautifully curled, these lashes are completely safe for skin, eyes and contact lenses. Just like real lashes, they are resistant to water, pool chlorine and perspiration. 20-25 lashes per eye for an elegant, soft and subtle look. 40-50 lashes per eye is our most popular set for clients. Turn heads where ever you go. 50+ lashes per eye - Be ready for the extra attention you are about to get! Keep your eyelashes looking fabulous with touch-ups every 1-4 weeks. Have beautiful alluring eyes for any occasion, for a look that is all your own. Easy to apply and easy to remove.